About Us - Consolidated Displays, Inc. In 1984 Joanne Librecht established Consolidated Displays with a simple concept of handling small 10ft and tabletop displays, which has since grown into the prosperous company it is today, specializing in large custom exhibits, double deck structures, lobbies, showrooms, point of purchase displays, and water features. 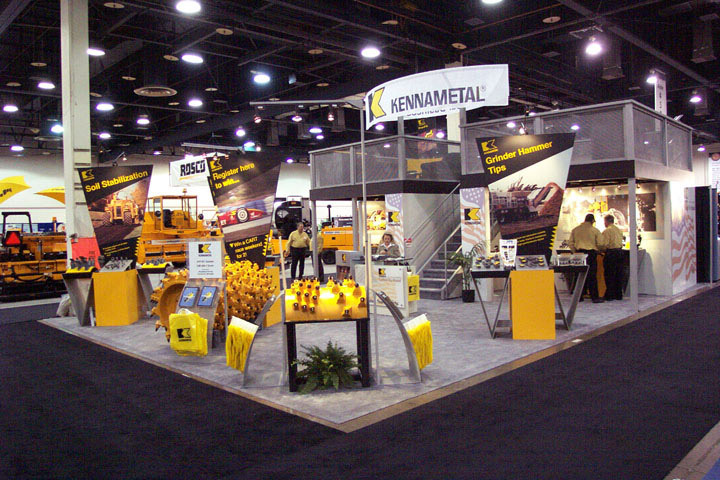 Over the years Consolidated Displays has developed a strong reputation as a respected exhibit house in the Pittsburgh market by providing superior customer service, innovative design and exhibit solutions, and quality construction at a low cost. Our reputation for customer service and quality products has earned Consolidated Displays several long term national partnerships with other larger companies who use Consolidated Displays exclusively in the Pittsburgh market. Today, at 33 years old, Consolidated Displays (CDI) is the longest running woman owned and operated full service custom trade show exhibit house and is currently operating out of 100,000 square feet of office, manufacturing, and warehouse space here in the Pittsburgh area. ©2006-2017 Consolidated Displays, Inc. All Rights Reserved.